that's awesome! congrats! i like how it's a vertical face. 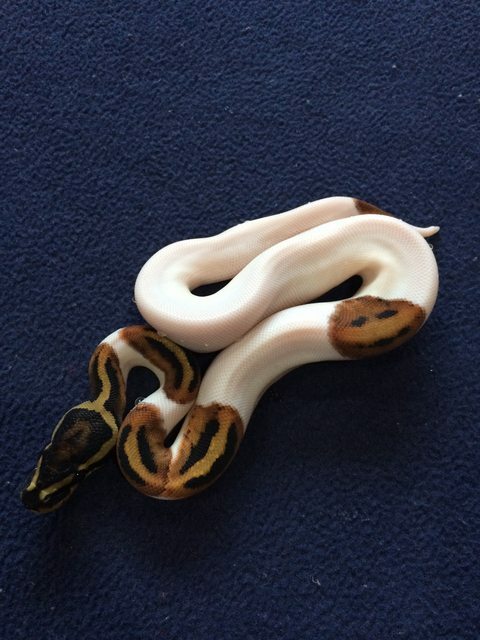 my friend Mike of Porter's Pythons has a Pied girl w/ a perfect jackolatern w/ the nose too: http://www.porterspythons.com he even incorporated her into his logo and she produced a boy OD Pied w/ another jackolatern face. face snakes are so cool.